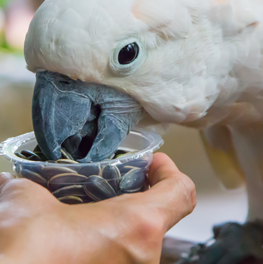 Spoil your feathered friend with delicious treats that are perfect for Polly. 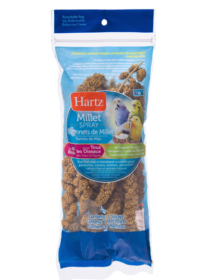 A healthy and fun way to add variety and excitement to your pet bird’s daily diet, Hartz Treat Sticks combine tasty fruit, seeds and grains. 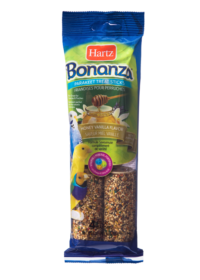 Each stick is fortified with vitamins, minerals and antioxidants so you can feel good about letting them indulge! Vitamin A helps support eye, skin and immune system health. 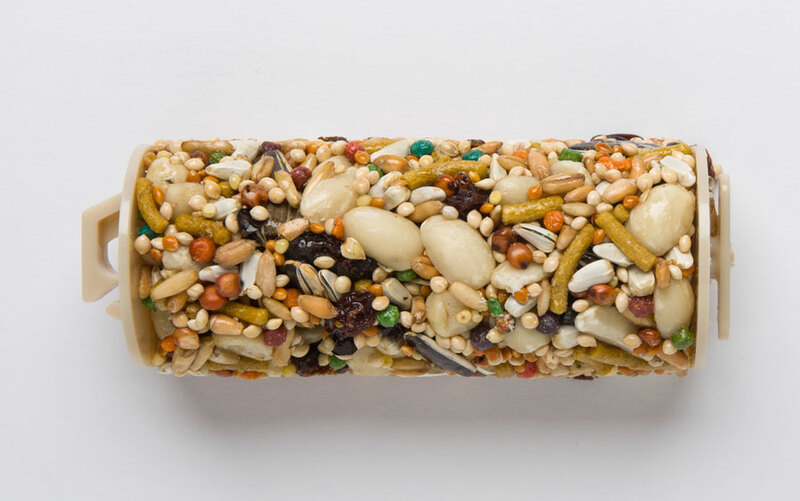 Vitamin D helps birds effectively use calcium and supports bone health. Vitamin E acts as an antioxidant and helps maintain healthy cells. 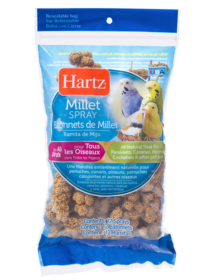 Omega-6 Fatty Acids help promote healthy skin & vibrant feathers. 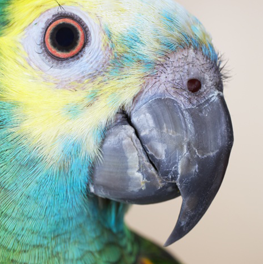 Hang treat stick vertically from side of your pet’s cage or place the hanger between cage wires and rotate. 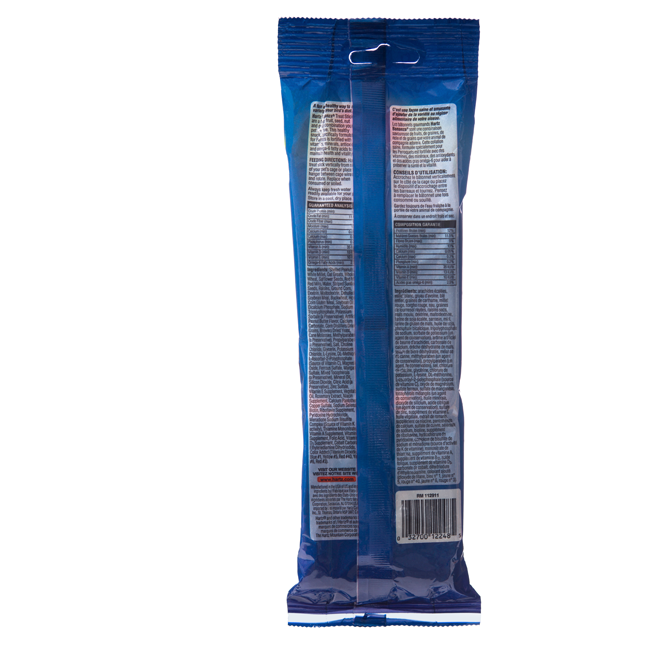 Replace when consumed or soiled. Always keep fresh water readily available for your pet. 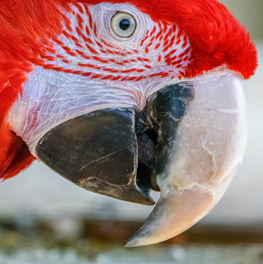 Some bird species will speak more clearly than others, and personality will also play a role in what your bird picks up from his environment. 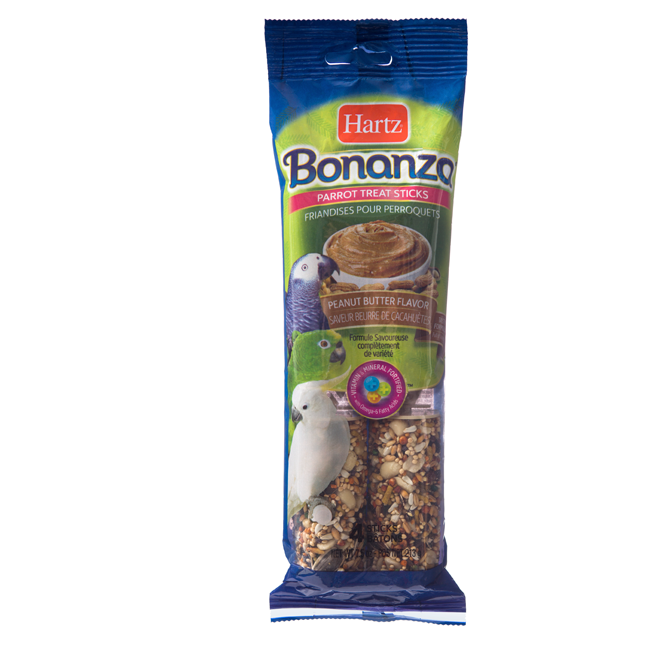 Because of their high metabolism, birds are sensitive to nutritional deficiencies.